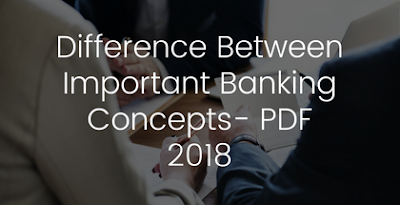 We are releasing a very important PDF "Differences Between Important Banking Concepts. This 101 pages PDF offers an insight of many important banking concepts. The file is most important for upcoming bank exams.